« 122 2nd Street – Pioneer Peter Sherner; adobe farmhouse, 1874. 214 West 2nd Street – Pioneer Mary Maxham; burnt brick house c. 1871. 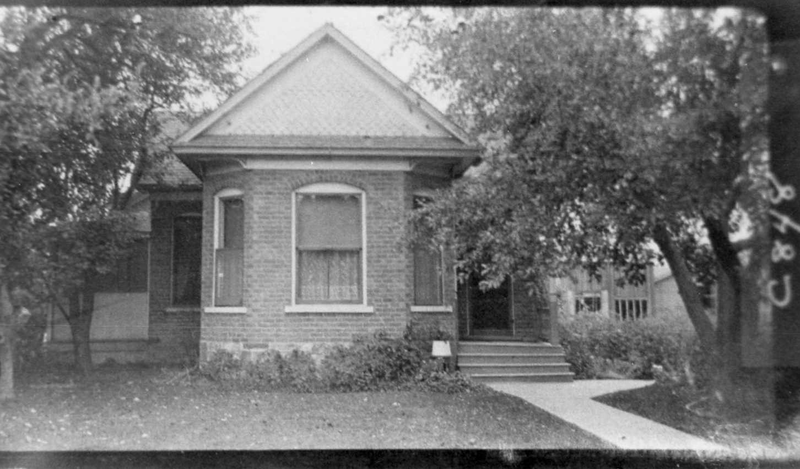 Mary Maxham House built 1871; photo Weber County Assessor c.1930. Mary Maxham Home; photo 2010. Mary Maxham came from Vermont as a Mormon convert and built this house as an affluent elderly lady. Constructed of “burnt” brick, this cross-wing plan is one and a half stories high and has a central section with side wings projecting to both sides; the roof lines of the central section and the wings are perpendicular, thus the name cross-wing. At the time of its building the projecting bay windows gave the house an urban charm that was more stylish than the surrounding farm houses. It was considered a “high class house for those early times”and was a popular architectural style in the early United States. Mary Maxham strategically located the house next door to the school house for her convenience in attending church and social events. In the 1870s the school house was still the hub of community activity. Like other structures of “burnt” bricks, the house has a three-foot rock foundation to protect the bricks from effects of rain and moist soil. Presently the exterior bricks are covered with siding, but the rock foundation is still visible. 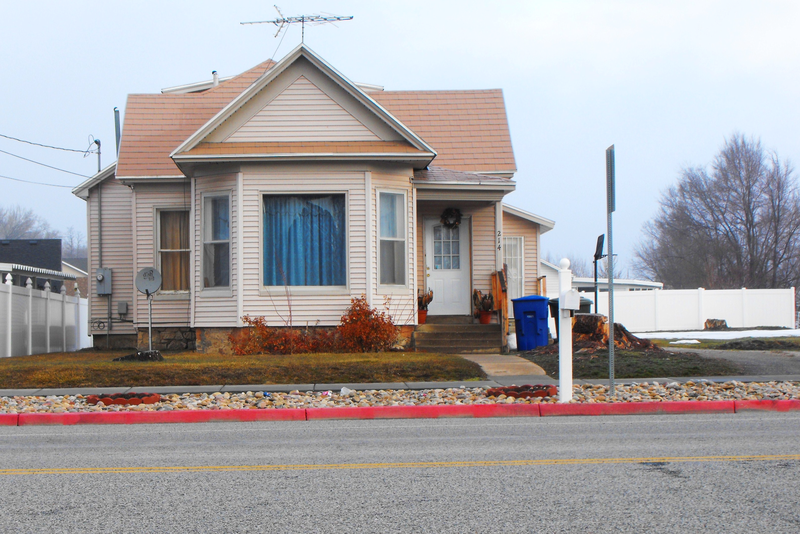 After 1880 the cross-wing replaced the hall-parlor as the most common Utah house type. 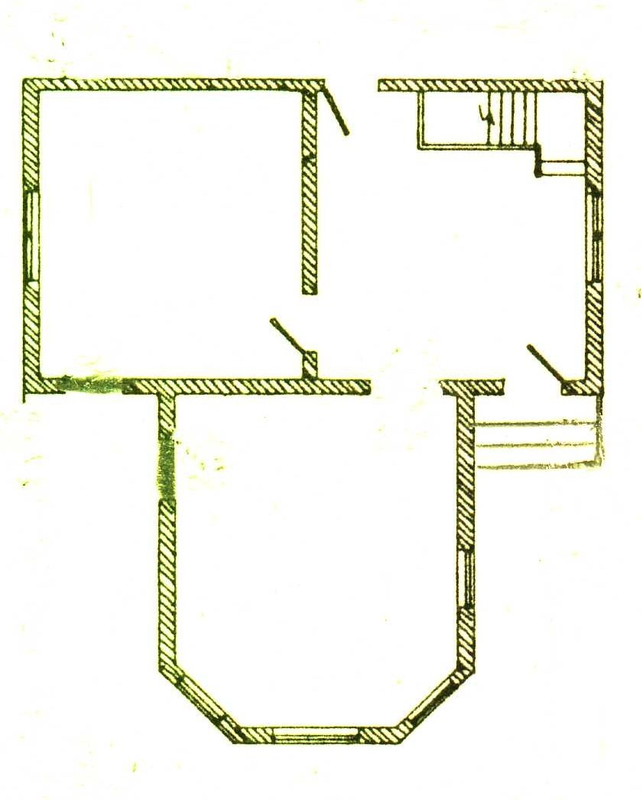 Sketch of a similar cross-wing “T” floor plan; the side wing with bay windows is the principle front façade. Mary Maxham was a wealthy widow who came from Vermont to Utah for the sake of the gospel; her only son died in the Civil War. Although she walked with a cane she was able to walk 100 feet next door to the schoolhouse to attend meetings or socials. “In 1871 Mary Hutchens, age 13, took a seat next to the aisle in the Mormon Lynne branch which convened in the (Lynne) school house and waited for the meeting to begin. This was the first time she saw Mary Maxham, an old lady, a stranger, walking down the aisle with the aid of a cane. Mary noticed that all the chairs were filled so she jumped up and offered the old lady her seat. That evening her father said to her mother that Mrs. Maxham wanted Mary to work for her. Mary’s mother objected as she could not do without Mary’s help. Her father said that Mrs. Maxham was very insistent that she would have nobody but the little girl that gave her a seat this morning at church. Peter Sherner was neighbor Sam Gate’s adopted son. In 1871 he was 21 years old and in addition to helping his father, he worked for the postmaster, Mr. Taft, for Mrs. Maxham and others. Peter who had a crush on Mary Hutchens, soon had Mrs. Maxham believing it would be much safer to have a man in the house so he also came there to board. He was six years older than Mary. 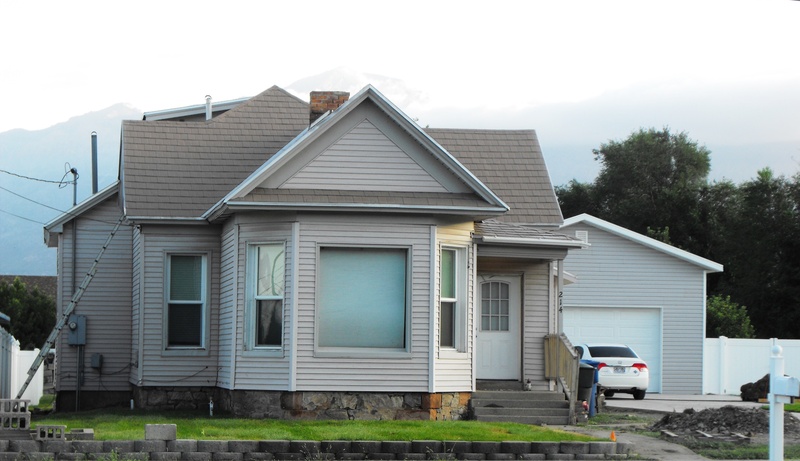 Peter and Mary were married in December 1873, and they lived with Mary Maxham for another year while they built their own home at 122 2nd Street. The Hutchens family purchased the house after Mary Maxham passed away. Later William Hutchens’s son, Joseph Hutchens, married and lived here. In 1892 Joseph was a carpenter for the Southern Pacific Railroad. Sarah Stone Crowther, Mary Cruse Stone, manuscript, p. 8. Burnt bricks are sun-dried adobes that were fired in a kiln and were much harder than an adobe but were soft enough to be scratched with a nail; these were made in the 1870s and 1880s. Carter and Goss, Utah’s Historic Architecture, 1847-1940, 1988, Utah State Historical Society, p.37-43. Laura Sherner Welker, Little Incidents As Mother Has Told Them, 1933, manuscript, p.2. Editor Dorothy Sherner, assisted by Laura Sherner Welker, Mary Elizabeth- Her Stories, 1933, manuscript, p. 48, 55, 56, 79. Laura Sherner Welker, Dorothy’s Memories of Peter Sherner, 1928, manuscript. This entry was posted on April 24, 2010 at 5:11 am	and is filed under f. 214 W. 2nd. You can follow any responses to this entry through the RSS 2.0 feed. You can leave a response, or trackback from your own site.